When your cutting tools need to be re-conditioned, choose Antech Tool to get the job done. From complex specials to simple standards, we have the capability to re-condition your damaged tooling to perform as good as new. Dont be fooled by amateurs. We make standard and special cutting tools everyday. We have been in the cutting tool business for over 10 years supplying our customers with new and repaired tooling to their specifications. We can repair or modify virtually any indexable cutting tool by any manufacturer with the assurance that it will be done correctly the first time on time. Savings of 50% or more can be realized over the cost of new tooling. Antechs ability to repair damaged indexable tools has earned us numerous endorsements from customers using its repair services. 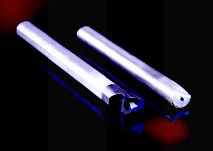 A tool repaired by Antech can perform within as tight a tolerance range as a new tool. Our skilled toolmakers have many years experience making cutting tools new, so repairing them back to original specs is not a problem. We have a vast library of inserts and components on hand in our facility for a variety of different style tooling. To ensure performance integrity with your tools, we have developed a special alloyed rod that we use in our welding process. This ensures proper tool steel hardness to replicate the original tool. So when your cutting tools become damaged or in need of repair, dont throw them away, send them to us. We will save you money by re-conditioning your tooling back to the tools original specifications.